I use U-haul truck rentals on a fairly regular basis for my work needs. Overall, I am satisfied with the price of the rentals, but the employees at our location on Eastern Avenue often stroll in late for work to discover a long line at the door. I usually arrive half an hour early to avoid waiting for an hour of paperwork that must be handled by one employee. New Canadian sent out a door installer to install 2 new exterior doors. One of the doors was a custom size door overlooking a deck. The installer worked with us to decide on the best positioning of the door to allow for snow build-up. The installer was very friendly and thorough. We would use their services again. Milorad removed and replaced the tile in a bathroom for me. He did a very clean removal of the old tile with minimal damage to the surrounding drywall. His installation was well executed and the job was finished on schedule. This is the second time that I have used Milorad Tiling and I am very happy with the results. Marcello was very helpful with our installation requirements. We have a narrow house. Marcello worked with us to keep all of our ductwork tight to the walls and ceilings. He came back right away to fix a couple small issues without complaint. Glenn is a great electrician to know. He shows up when expected, does a tidy installation, and cleans up after himself. He was very helpful with all of our electrical concerns in our 90 year old home. I would recommend Glenn to all of my clients and friends. The staff at Paul Wolf were very helpful. They took the time necessary to allow me to make informed decisions about my purchases. I did not expect to find a pro-shop in the downtown area that was so well supplied and competitively priced. New Canadian installed an ejector pump for our basement plumbing system. They were prompt and efficient with their service. They had a competitive price for the work done. They had initially left behind the dirt from the excavation but did come back to remove it when we called them. While cleaning out the reservoir before starting up the pump, we noticed that the ejector pump was not resting in its appropriate place within the reservoir [there are moulded placements inside the reservoir to hold the pump feet for stability]. The entire assembly needed to be rotated about 90 degrees and the attached ABS plumbing had to be cut out and replaced. Also, the reservoir is tilted slightly [I do not know if this will affect the performance of the pump or not]. Jim was a great engineer to have on our project. He would not compromise his standards in any way. When our contractor let us down, Jim worked with us to achieve our goals in a simple and safe way. Without Jim's advice and dedication, we would have been up the creek with the city inspectors. Thank you Vince, greatly appreciated! Greenwall Krisbe was hired to do a renovation for us. The scope was to tear down a kitchen and frame a three story addition to our house with no finishing to be done. I think that Kris was over-extended and did not have enough crew to do our job in a timely manner. The project was to last 8 weeks. After 8 months, we decided to part ways. I would drop by some days to find that no work had been done for several days at a time. After putting pressure on Kris, he decided to sub-contract the job to another crew from the Yellow Pages. This crew sub-contracted most of the work out to another crew. After months of delay, our payment schedule was switched to a milestone basis to ensure forward movement of the project. The new crew was expecting pay every Friday, which was not a part of our deal. This led to a rush job with badly sloping walls and deficiencies that are too many to list here. We have had to spend many thousands of dollars to correct some of these problems, and some could not be corrected without starting over. We hired Studio Drywall to do the taping and mudding of our house. Gary told me that he would treat our walls as if they were in his own house. I am a painter and am very particular about the quality of the plastering on walls. Gary has exceeded my expectations on all levels. He arrived on schedule and met his deadlines. He also used a light to view his own work from different angles to ensure a top quality finish. We will Definitely hire Gary for our future projects. We have had our share of questionable contractors during our renovation, but CityView Renovations is by far the worst that we have ever encountered. I am a tradesman and would never think to ask my clients to pay me for work not completed or not completed satisfactorily. I most certainly would not threaten to sue my clients for not paying me for work not yet completed. Alex is unskilled, unprofessional, and performs his work in an unsafe manner. We hired City View to remove some poorly installed siding and replace it with new material. The job also involved replacing two poorly done flat roofs, reinstalling a window and a door, and refinishing a box window. Siding: sigh. We were unhappy with the original siding that was installed by a previous contractor so we hired Alex to replace him. We thought that his trashing of the previous contractors work along with our own concerns would have indicated that we wanted something better... what we got was even worse. There are several places on our home where one board will lean left while the next few boards will alternate between leaning right then left again. A level is not required to see the obvious ruin that has become our home. The caulking job was atrocious. 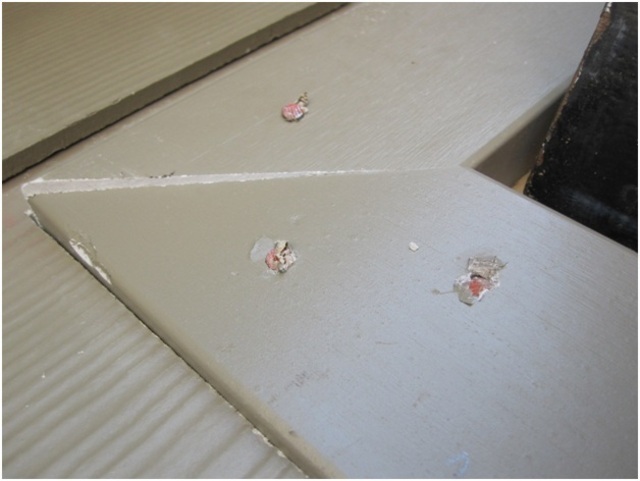 Blobs of caulking now adorn our new shingles, as well as our new white windows [the caulking is green]. It has all the appearance of a child left unattended with the tools. Recently, one of the siding boards fell off the house. I could go on... Roofs: One of the flat roofs was for a rooftop deck and had 90 degree corners which all roofers agreed would require cant strips to avoid cracking in the heat and cold. Although we specifically requested them, this roof was replaced with no cant strips, leaving us with the same job that we had paid to fix. On the second roof, his roofer sub-trade informed us that we should have installed a fascia board on the side of the house when he had completed his work. It would have taken about 30 min to add the two boards necessary to make this right. Instead, our siding ends at the roof and now looks unfinished. 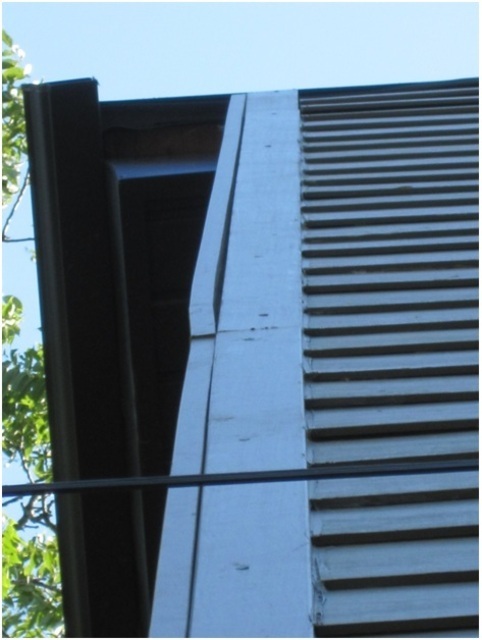 Safety: He laughed at our previous contractor for siding a house 32 feet high without scaffolding and then proceeded to build an overhang and side our house using just a ladder. Oh, and did I mention he told us he's not comfortable with heights? We had discussed our safety concerns with Alex before hiring him for the job. Other: We asked Alex to reinstall a window that needed to be moved out an inch so that it could be properly weather-proofed. He removed it and reinstalled it exactly where it was. 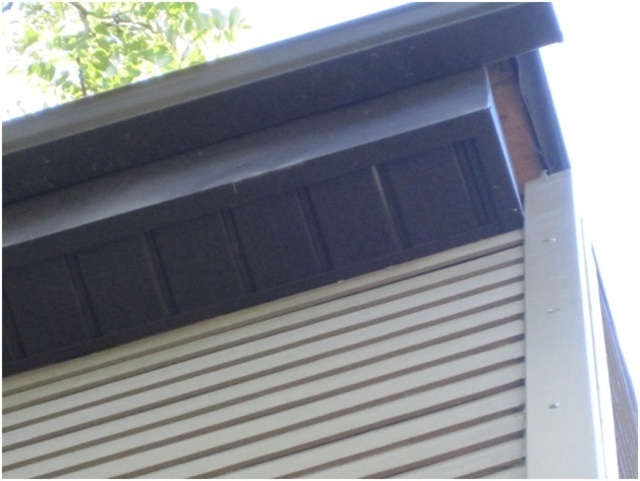 We paid Alex a considerable amount to build an overhang [soffit and fascia]. One end of the overhang is about three to four inches narrower than the other end. 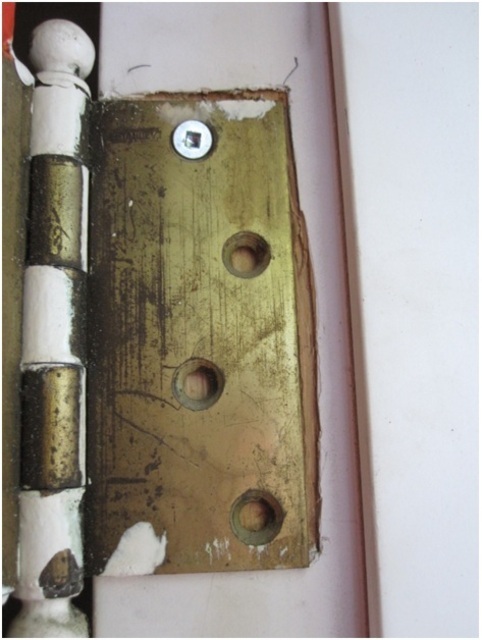 Alex could see nothing wrong with this... We paid Alex to reinstall a door that was poorly done. I'm pretty sure that he used a chainsaw to notch out where the hinges go... and the door would not close with weather stripping attached. We paid Alex to clad our bay window with cedar trim. He left half inch gaps to the house and his mitres looked like he cut them by eye with no regard to the final result. He told us to fill it with caulking and then used caulking to fill a two inch wide gap on the side of our house. Towards the end of the job, Alex tried to do a week's worth of work in six hours and then demanded to be paid before the job was completed. We paid him some of the money left on the job but wanted him to finish before receiving final payment. He immediately called his lawyer and threatened to sue us for the remaining money. We were offended of course... we spoke with a construction lawyer who advised us that if our contractor was foolish enough to proceed to court it would have to be heard in Ontario Superior Court and we would end up paying ten to fifteen thousand dollars in legal fees regardless of the outcome. We chose to settle and have Alex go away. The bottom line is that Alex was totally unprofessional with our job. He did not assume any responsibility for his work and attempted to intimidate us when he did not wish to make good on his promises. Alex blamed almost all of his deficiencies on the previous contractor's work but it had been untouched since he quoted the job. He knew the conditions when he provided his quote and his promises of quality. The pictures with this review are at the stage that Alex was demanding to be paid in full. As you can see, we will eventually have to redo all of the work that Alex touched. Alex's main trade is carpentry but as you can also see, this is not the work of a professional carpenter. All of these deficiencies are still there for all to see, so please feel free to message me if you would like to see it in person. All are welcome to take a look. I can send more pictures too if you're interested. My name is Alex Russillo, I am the owner of CityView Renovations and over tweenty years in business I have never experienced such a client. 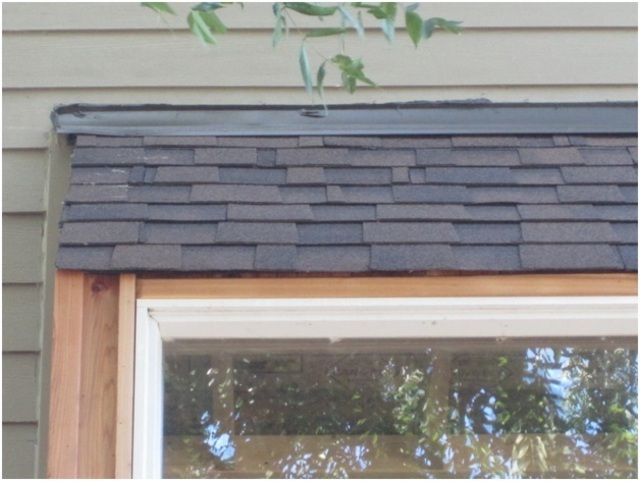 This job was concluded in the summer of 2010, when the homeowner called me he informed me that he needed flat roofs and siding done.When I arrived at the house and walked around it was obviuos that the house was not level, plum or square. I informed that the siding is similar to a skin, if the house is not level,square or plum, the siding would not be as it is attached to the sheathing with nails. The client said understood but didnt have the money to correct the structure. The old brick walls were not cut square to join to the new addition, hence the gap varied along the edge, we tried may different solutions as the client did not want to cut the brick straight. As for the comments on the doors and windows and many other items, the client did a lot of this work himself to reduce costs ( using used doors and windows that were warped and old found on kijiji), the contract was redone 4 times in 4 weeks, adding and deleting items, and once they did work they wanted me to fix it properly for no extra cost, I will do a few small extras for my clients but I also have a business to run and do have to charge for days of work. The bay window mentioned had to be reframed again to save cost Vince did this himself (he is a tradesman, painter)he biult it of square and of level and then blamed the siding for not correcting it.The flat roofs were installed correctly and to Building code. As for the safety, in 22 years we have never had an accident, we could not use scissor lifts as we had no access(as promised) scaffolding is considered, the nieghbour refused us access to errect scaffolding, they only have 30 inches between the houses, the nieghbour stated that he had enough of the homeowner. As a result we operated safely this platforms. I dont threaten legal action as it is costly for everyone involved but I will not walk away from a significant amount of money iether. After 2 weeks of refusal to pay by the client, i told them that thier file will be referred to my attorney, and offered them a 15% discount if they paid, they jumped on the offer, they paid. For anyone out there reading this, go on my website, read reviews and i also offer refferals to all interested.